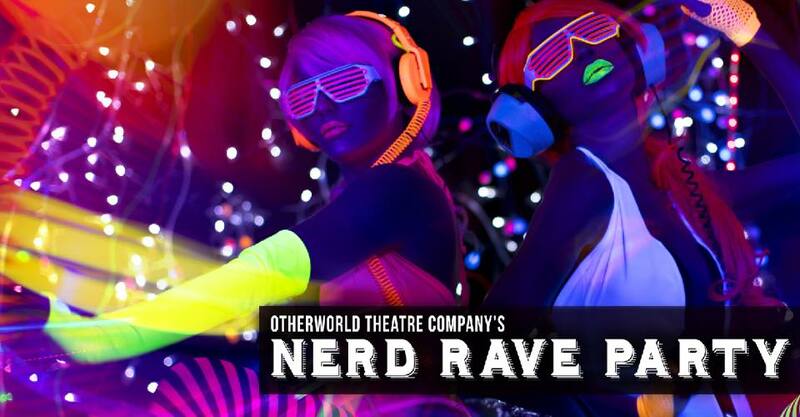 Time to dust off those glow sticks and prepare your best dance moves, because Otherworld Theatre is hosting its first ever Nerd Rave Party! This party is going to be LIT. Literally. Glow sticks, highlighters, blacklights, and of course, the best beat drops in the galaxy. Artistic Associates Gaby Martineau and Lauren Fields will be your DJ’s for an unforgettable evening of nerdy fun. Bring a friend or five and dance the night away! Cover charge for this event is only $5 and will go towards fundraising for Otherworld’s brand new sign. Cash bar will be available all night. See you on the dance floor, nerds! ✌?????? ?